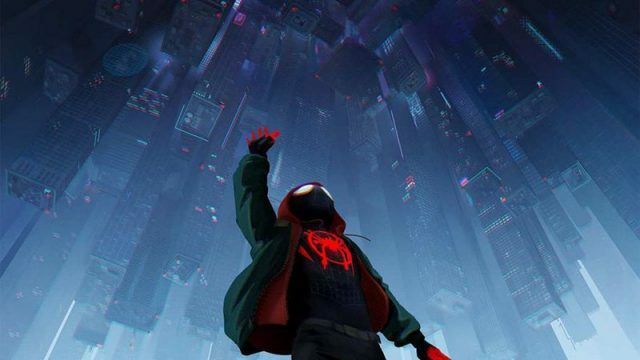 It seems impossible to talk about Spider-Man: Into the Spider-Verse without bringing up its gorgeous animation style. The filmmakers have spoken at length about how much time and effort went into crafting the film’s unique look. But when the animators themselves take viewers through certain scenes, we can’t help but marvel at their artistic genius. A new video courtesy of Wired features a sitdown with visual effects supervisor Danny Dimian and animation supervisor Joshua Beveridge. During the interview, the pair discussed the “new visual language” their teams created that led to the film’s Oscar-winning success. When deciding on how the film should be presented, Dimian and Beveridge went straight to the source material. Specifically, they drew influence from Jack Kirby and his signature use of “Kirby Krackle” and dots in his illustrations. Dimian also explained that they wanted to avoid conventional tropes that “did not look like they belonged in the illustrated world” such as motion blur or camera focus. As a result, every paused frame could just as easily pass for a comic book panel. However, Dimian points out that once Miles arrives at his elite prep school, the mood completely changes. “The lighting starts to get a little harsher and we kind of leave some of the comfort of his environment,” said Dimian. Spider-Man: Into the Spider-Verse is now available to on Blu-ray, DVD, and digital download. You can hear Dimian and Beveridge’s remarks for yourself below, then share your thoughts in the comment section!